We offer a variety of accommodations in order to suit all travelers. 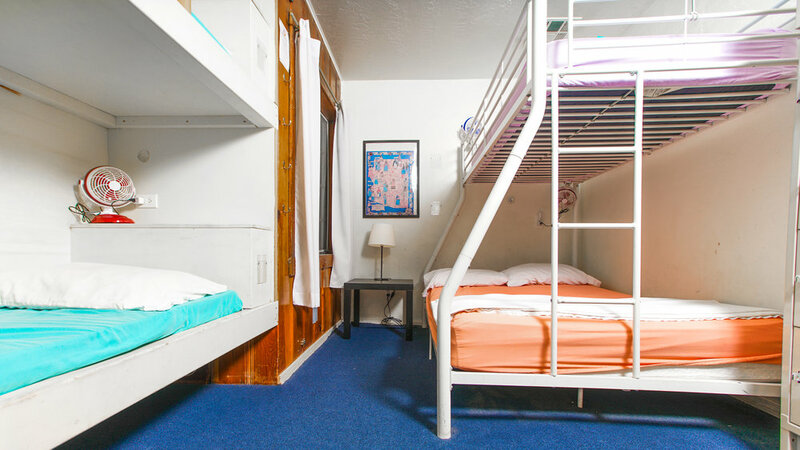 Guest can either book a bed in one of our dorm rooms or book a private room. All rooms have access to gender neutral bathrooms. 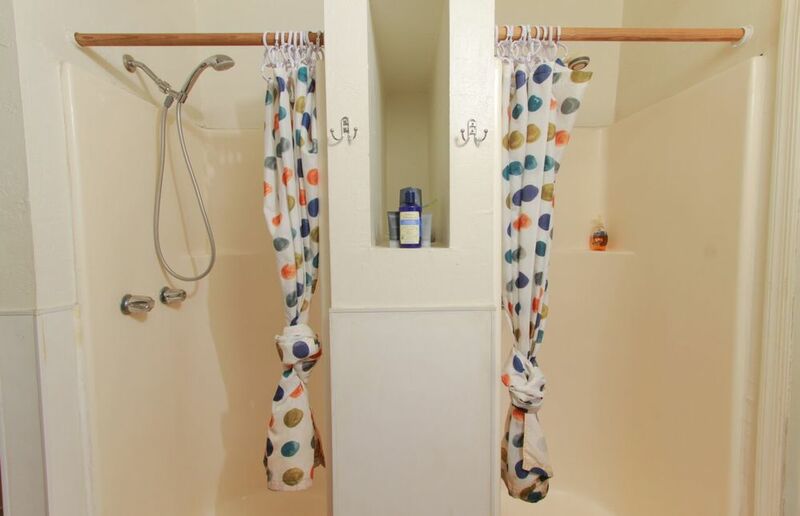 Click here to learn about the additional amenities we offer. 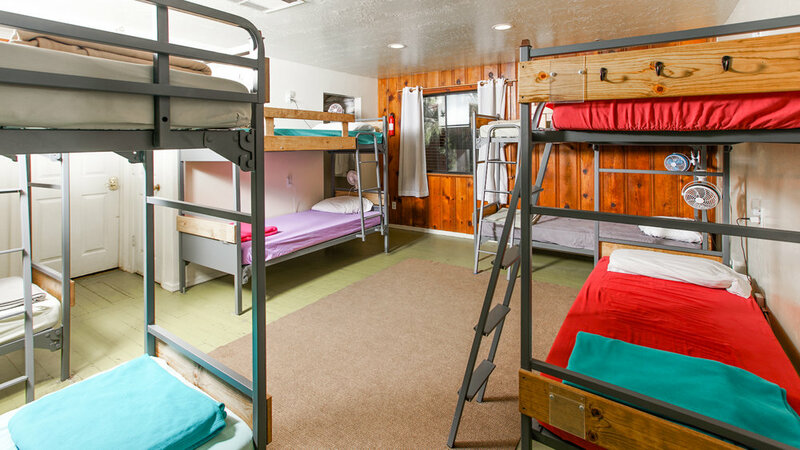 Our 10-bed mixed dorm comes equipped with fresh linens, comfortable memory foam mattresses, and plenty of space for all travel gear. All beds have their own power outlet, reading light, and personal fan. 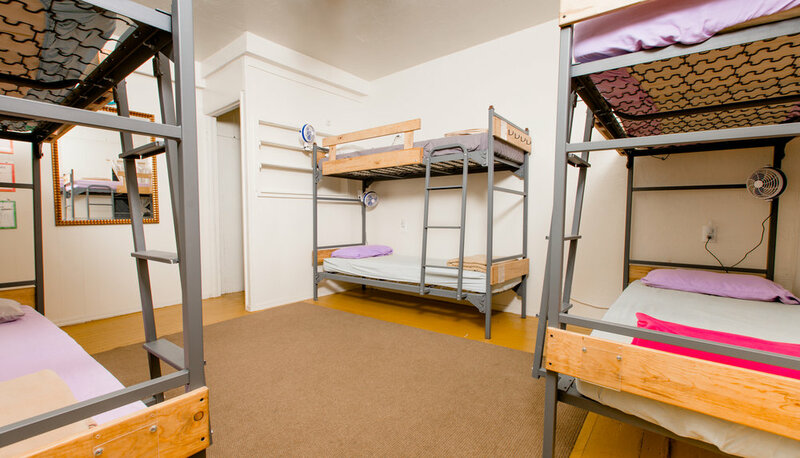 Our 6-bed female dorm is a small, intimate dorm with fresh linens, memory foam mattresses, and a large closet for travel gear. All beds have their own power outlet, reading light, and personal fan. We have private rooms that can accommodate 1-2 guests and a family room that can accommodate up to 4 guests. All rooms come equipped with fresh linens, comfortable memory foam mattresses, and have access to a single occupancy gender neutral bathroom. Single occupancy rooms are $45/night and doubles are $65/night. 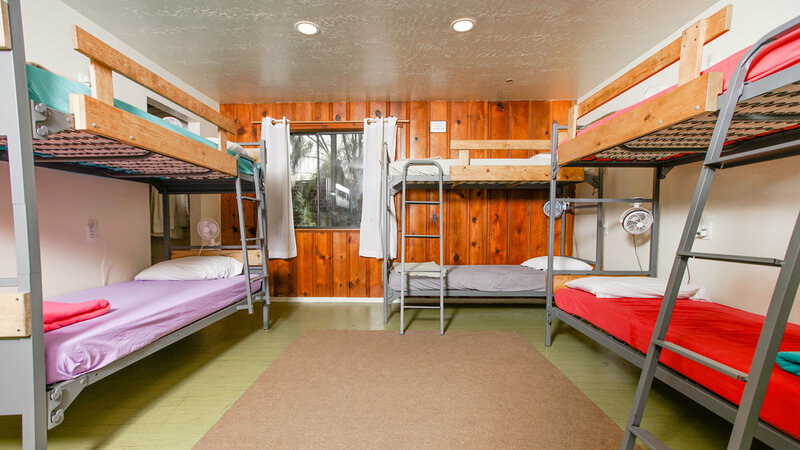 For groups of 3, $65/night. For groups of 4, $75/night.